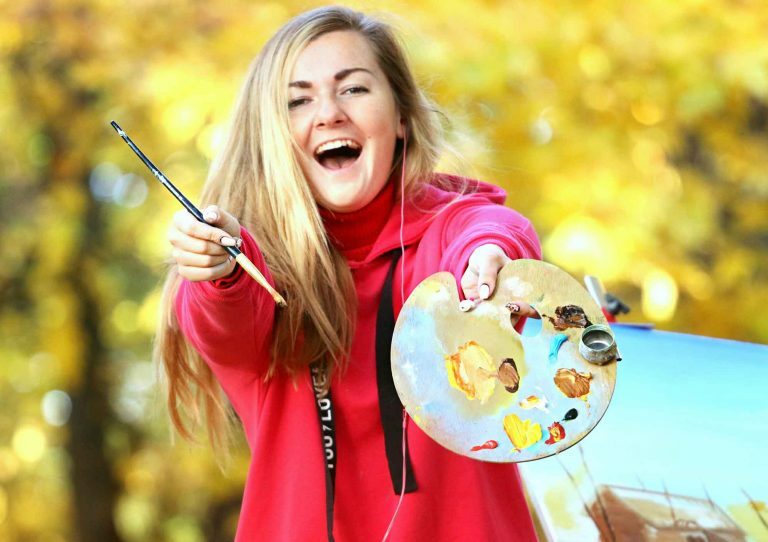 Paint along is a relaxed and stress-free environment for painters of any skill level keen to discover their inner artist. It doesn’t matter if you have never painted or haven’t painted for years, you’ll be amazed at what you can do! From “I’m not the creative-type” to leaving with your own masterpiece in about 2 hours. 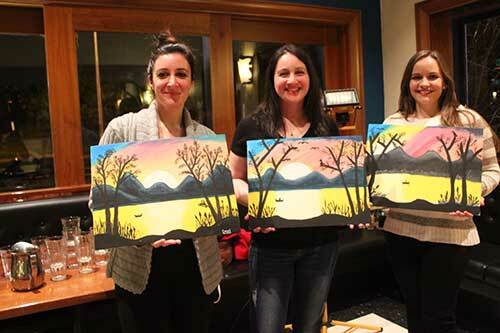 Paint alongside a professional artist step-by-step, creating your own artwork you’ll love. 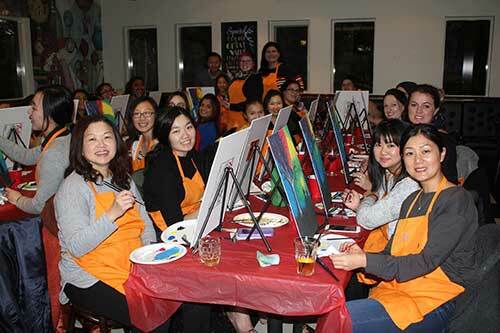 Painting events are usually held in pubs/bars and restaurants in the Sydney area. So you can eat, drink and socialise with your friends, or make new friends. No need to bring anything! All materials supplied even down to the aprons to protect your clothing. You just need to be ready to experience something new! 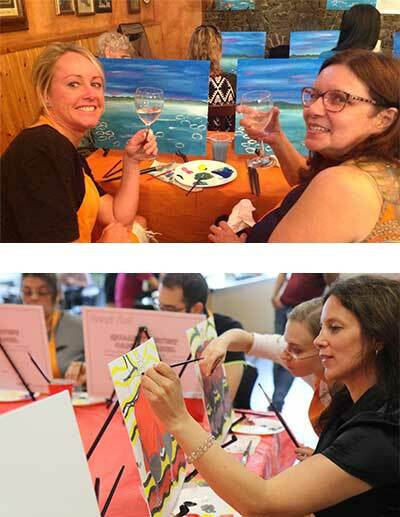 Give socialising with your mates a creative twist! Turn your next team building event, hen’s or birthday party into an unforgettable one. Look no further for a better icebreaker and discover the diversity and creative potential of your group. Besides, it’s just loads of fun! Group bookings starting from 10 people up to 35 people per event from $325. Events last for 2 – 3 hours including set up and break down. All materials supplied, and we even clean up afterwards. 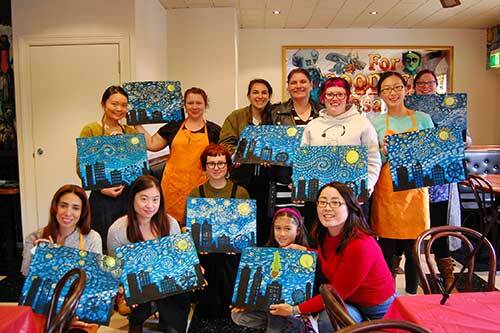 Create your own party theme with your choice of venue and choose from a selection of paintings from our gallery. Great value for money for a good cause! We love to support charity events and community projects. 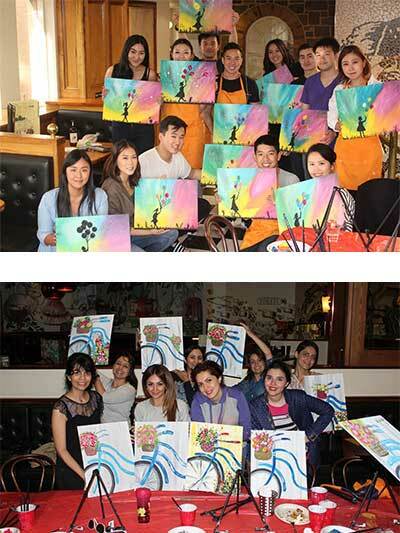 Paint along is an excellent way of combining much-needed raising of funds with loads of fun. Plus everybody takes home his or her own masterpiece. 2. We will contact you to confirm your requirements, available dates and venues. 3. Lets get your party scheduled! Copyright © 2019 Paint Along. All rights reserved.